I’m not going to lie: I think I have a pretty good travel blog. (You probably do too if you’re here.) I work hard to provide excellent practical travel advice to help you travel better, but I’m not the only great travel blogger out there. In fact — and I know this might be shocking — there’s a lot about travel that I’m not an expert on. Family travel? No idea. Travel as a woman? Clueless. Information on hotels? Only a little. Photography? I can manage to turn my camera on if that counts. Food expert? Only at eating it. 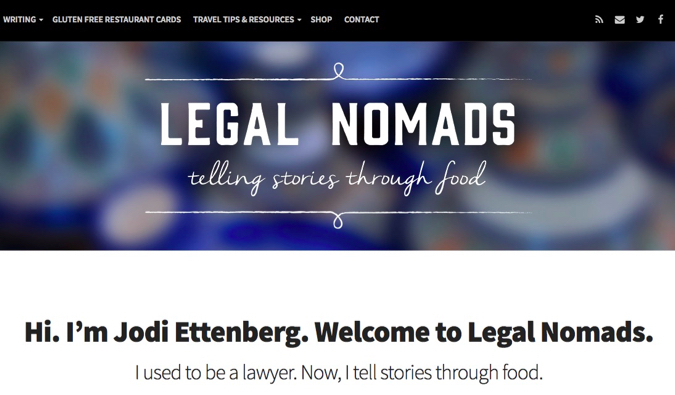 Besides being one of my all-time favorite people in the world, Jodi is also a damn amazing blogger who writes often about food and culture. She devotes a lot of time to food on the road, taking mouthwatering photos that make me jealous of her ability to do so. A former lawyer, she also writes a series called “Thrillable Hours” about other lawyers who gave up being a corporate lackey for life on the road. If there was a contest for best travel blog, I would tell everyone to vote for me. Then I would go vote for Audrey and Dan. They tell heartwarming stories and take incredible, out-of-this-world photographs. 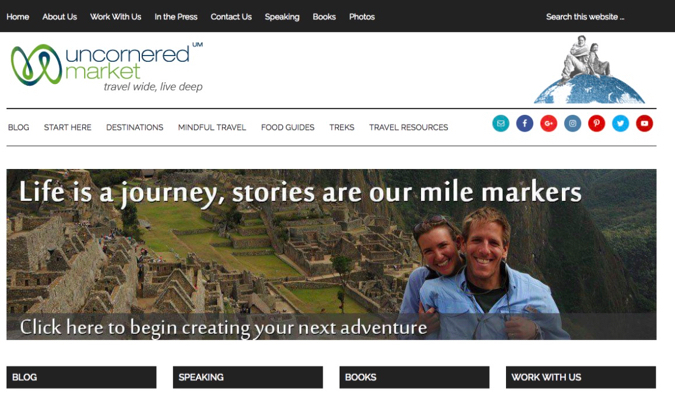 Their blog focuses on cultural travel and sustainability issues (they even work with the UN Global Sustainable Tourism Council). I focus on the nuts and bolts of going places, whereas they focus on the people. They are simply great storytellers. 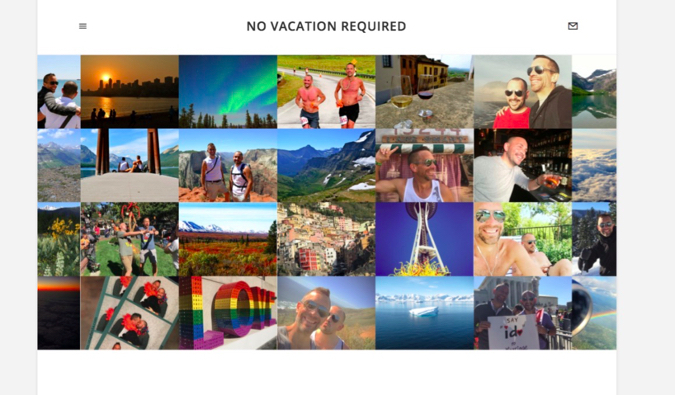 Canaan and Kent make up the dynamic duo that is most travel bloggers’ favorite dynamic duo. 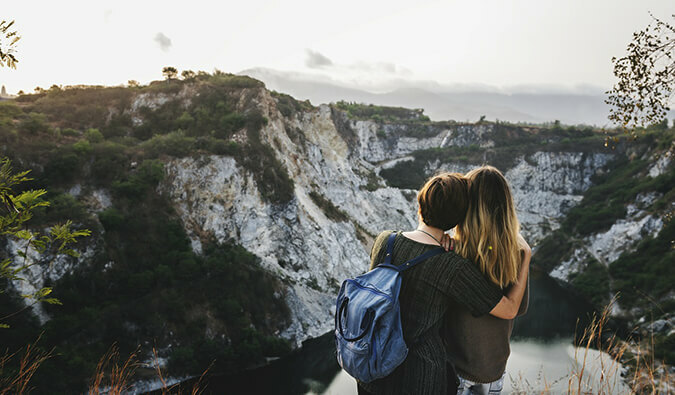 They blog about everything — from digital nomading, to travel, to random entries about their life, and everything in between. 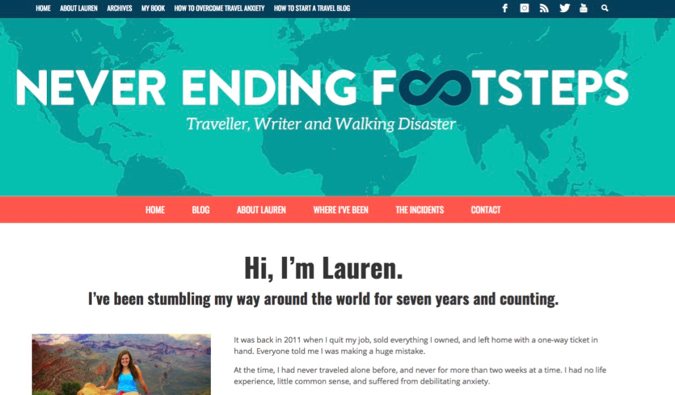 Theirs is a personal blog with a travel aspect. They are funny, smart, and witty. Plus, they share my love of Vegas, so what’s not to like! I met Alex years ago in New York City and we’ve been friends ever since. The author of the article on diving in Koh Tao, Alex is a photographer, graphic designer, travel lover, and dive specialist currently roaming the States. Her blog features great photos, dive tips, travel stories, and a biting and self-deprecating humor. 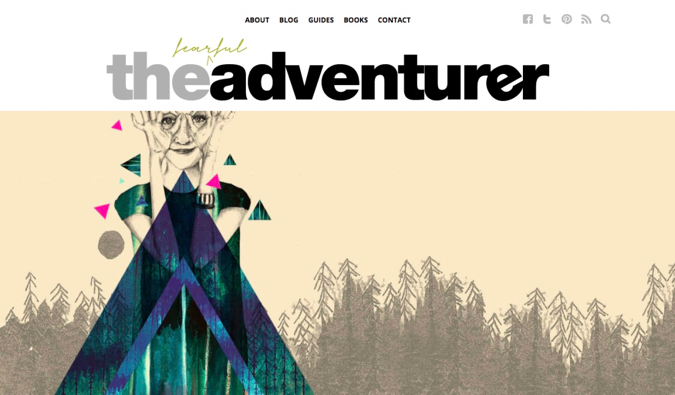 Plus, I helped pick out her blog name, so it’s hard not to love it. 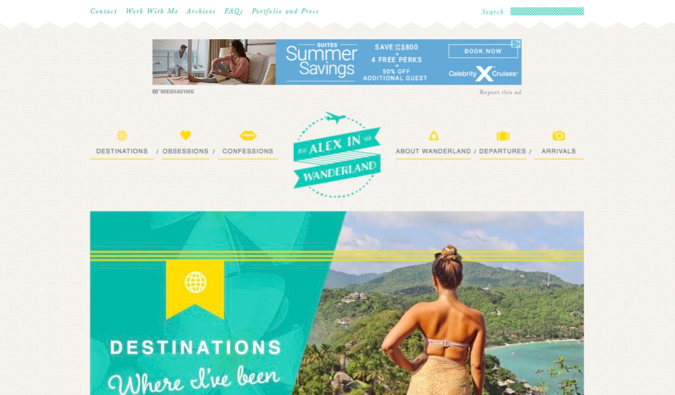 Kiersten’s site focuses on the intersection of fashion and travel. She gives tips and advice for women on what wear, pack, and see while overseas and focuses more on higher-end, comfort travel than I do. 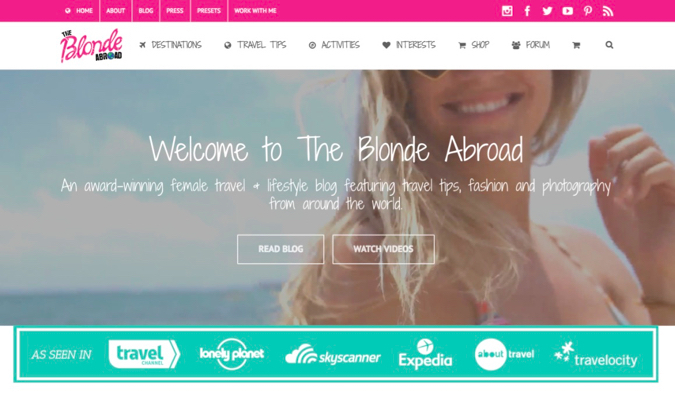 I think her blog is one of the best for female travelers and, though it’s not targeted to me, I find useful information that I share with others. Kiersten and I are friends, and I love seeing her site grow and expand, especially over the last year. She seems to be everywhere! This popular YouTube channel by Nadine Sykora documents her experiences as she travels around the world. Nadine’s zany, nerdy take on travel makes her videos entertaining to watch! She’s funny, smart, and a bit awkward, but her filmmaking style really puts you there in the destination with her. There’s a reason she’s one of the biggest travel channels on YouTube! 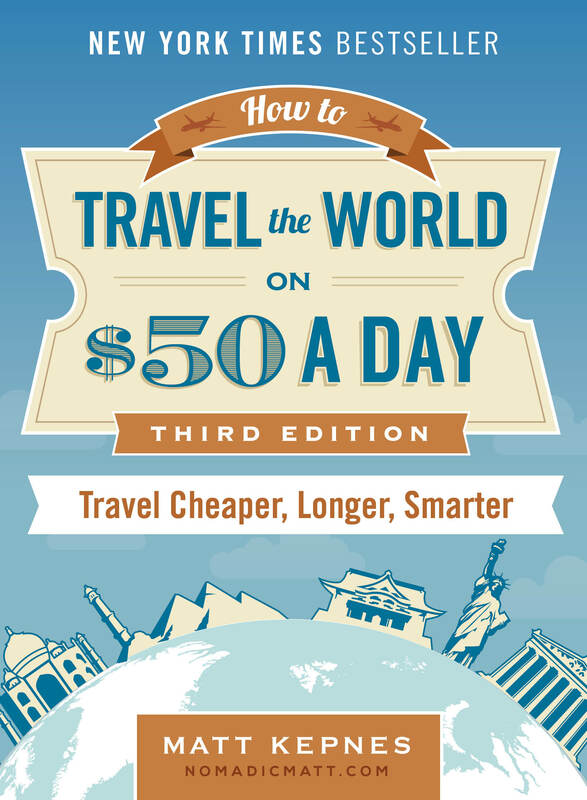 Gary Leff is the “OG” of travel hacking. 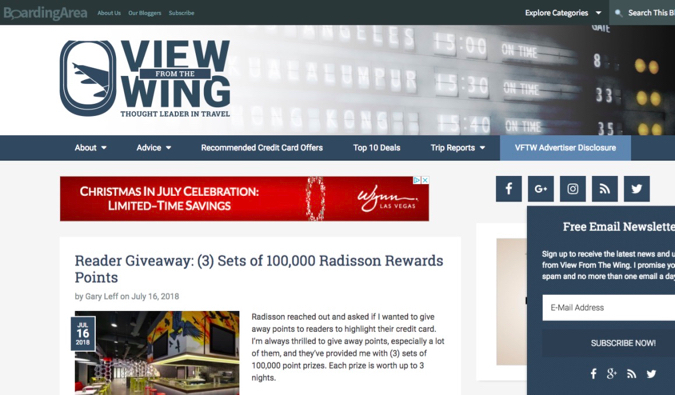 While I read many travel-hacking blogs, I follow Gary because he provides industry analysis and behind-the-scenes information on loyalty programs and airlines. Gary doesn’t just provide trip reports or share deals and reward opportunities, he gives you context and greater understanding of how travel hacking and airlines operate. Mark and I go back to the days when I was living in Bangkok. Mark blogs about food, especially Asian food. 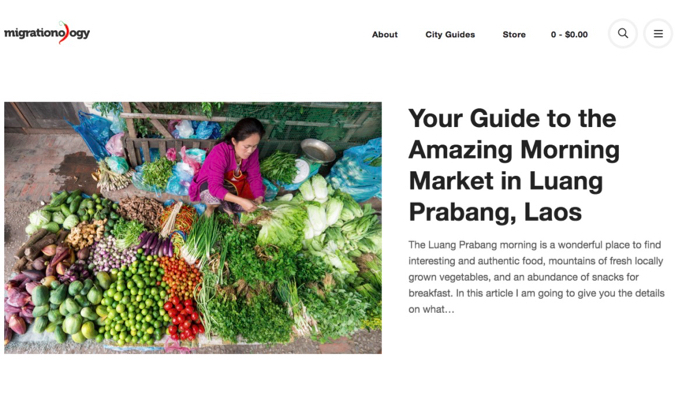 He’s my food guru when it comes to all things Southeast Asian and has detailed information on where to eat and what to order throughout the region. But more than that, he tells the story of the place and its culture through the food he’s eating. 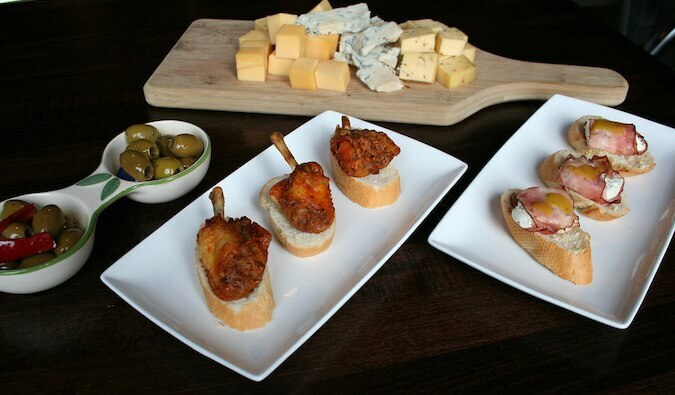 It’s not just about what dishes to order — it’s about how food has shaped culture and vice versa. 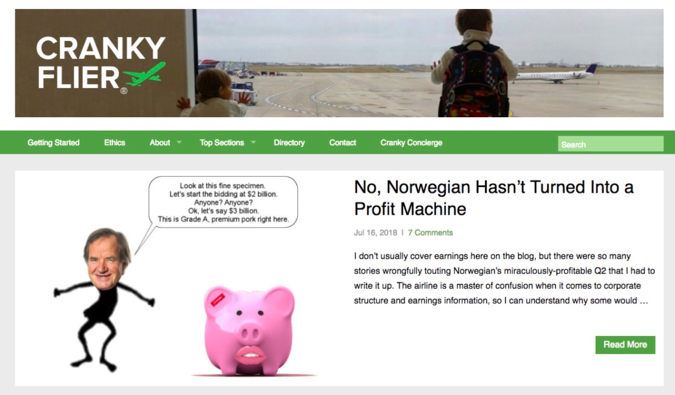 As an airline geek, I follow this blog because Brett keeps up to date with the changes in the aviation industry. This blog doesn’t focus on points/miles but on changes in services, new planes, mergers, and all that other industry stuff we aviation geeks love. If you’re an airplane/airline geek too, read Brett’s blog — you won’t regret it. 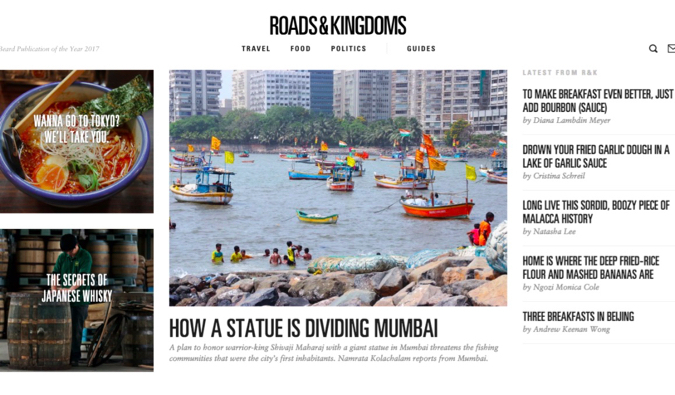 Founded by two foreign correspondents from Time, this website is currently my favorite for narrative travel. It features in-depth articles from foreign correspondents about culture and life around the world and recently won a Society of American Travel Writers award for best travel journalism website. The writers here are smart, longtime journalists who tell beautiful stories. It helps that the website is very well designed too. Australia-based Torre DeRoche runs this blog, and her name may be familiar to many of you, since I interviewed her about her book earlier this year. I love her deep thoughts on travel and the personal nature of her blog. You really get a sense of the ups and downs of travel through her writing. It’s comforting to read about someone working through the same nervous fears you are. 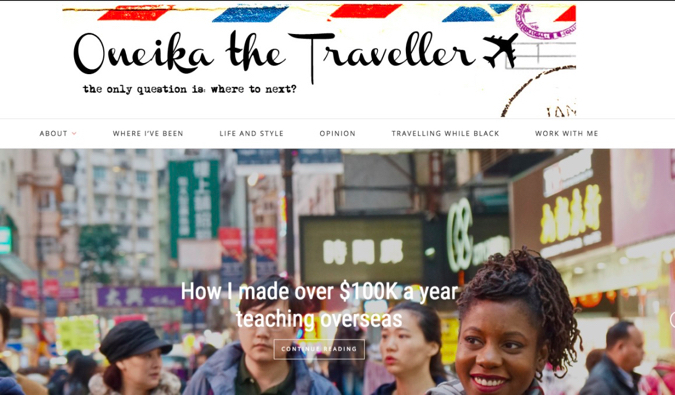 One of my favorite blogs as she talks about the “real” side of travel and is not afraid to get political, talk about racial prejudice when she travels and discusses life as a black female traveler. So much of travel writing is from a white perspective, it’s really great to hear from someone else. Not only that, but her tips and tricks are super useful and her writing and photos stellar too. Lauren is the most accident prone traveler I know. Anything that can go wrong usually does go wrong when she travelers. She’s one of the unluckiest travelers I know. But all that misadventure leads to some amazing travel stories and her blog is filled with funny tales that will keep you captivated for hours. Additionally, she provides some wonderful practical tips on travel and detailed expense breakdowns on how much she spends in each place. So there you have it. 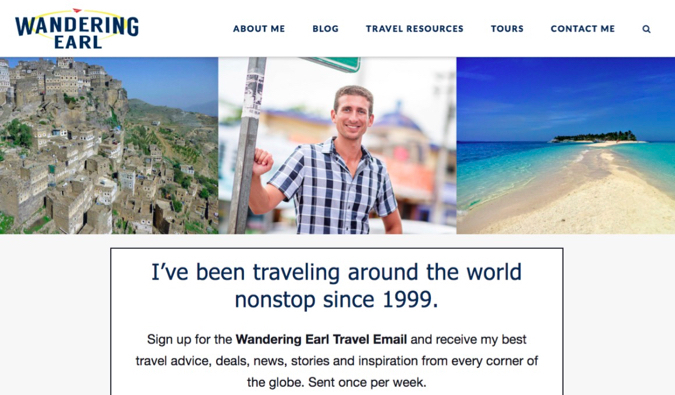 The best travel blogs on the web (besides mine) that I read. This is an ever-changing list so I’ll be updating as time goes on! After all, new travel blogs start every day. Go read these ones, laugh, learn, and be inspired! If you’re looking for more in-depth advice, I have a very detailed and robust blogging course that gives you a behind the scenes look at this website and features case studies, expert interviews, monthly webinars, tech support and help setting up your blog, and a lot more. You’ll learn everything I know about creating a successful blog. If you’re interested, click here to get started now. Some great choices Matt, including a couple I’ve not heard of before, cheers! Thank you for including me, Matt!! There are two I didn’t know about in here and you’ve included a few of my personal favorites. Great list. Totally depends on what your goals are as to whether or not a redesign makes sense or not. The primary goal of most redesigns is increased conversion — buying some sort of product, building an email list, or contacting you for some other reason. 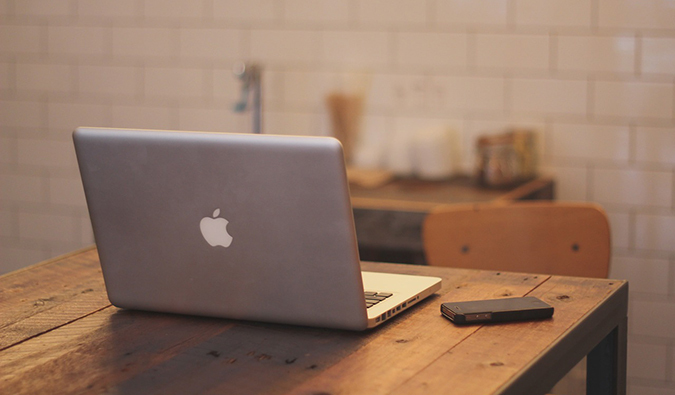 What conversion means of course depends on what your business goals are. Looking at your site, unless your main business goal is to get people to read your content and engage with it (for some people, that is the primary thing they want their audience doing), then I would recommend a redesign to make your desired user actions much clearer. Valid points, Drew! I want people to be inspired to go out and travel themselves, and to do so in a way where they really learn and experience another culture. That’s honestly my biggest and probably my only goal. I don’t want to sell them anything like an e-book, I choose to be employed in other ways than monetizing my blog. It’s why I always kept the design simple, so it was about the content. But I do wonder if it’s easy enough for people to navigate. So glad you featured Alex! She was one of the first blogs I started reading and is a nice person too! Checking out the other blogs on your list now. Thanks! Good list. I am familiar with almost every one of these. I love the writing of Sally, Canaan, and Kent. Love what Dan and Audrey do with their site. Thanks for sharing these! Wow, what an honor to be in this round-up with so many amazing bloggers! Thanks for featuring me, Matt! Wowza. Thanks so much for including me. I’ve definitely got some awesome company! Thanks for giving me more reasons not to work on my own blog by giving me more blogs to follow. My facebook and twitter feeds are completely dominated by travel sites. 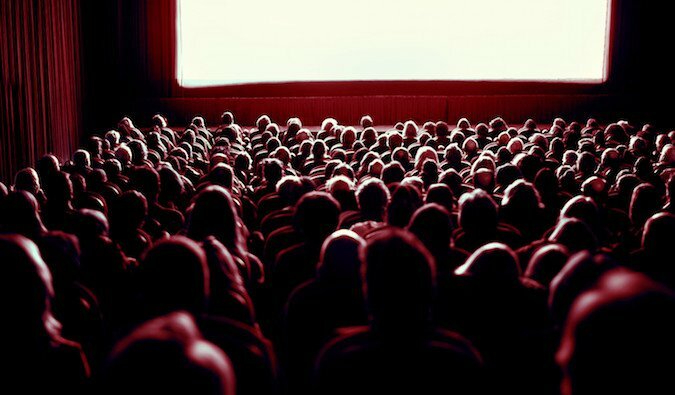 I have been following your site for a while and think it deserves to be on this list. Keep up the good work. I’ve spent the last few days considering reducing the number of travel blogs I read because they are causing serious wanderlust and confusion (over where the next trip will be) … and then here you go placing a whole raft of excellent ones right in front of me! 😀 I have a feeling most, if not all, will be added to my reading list in short order. Belated thanks for including us, Matt. Really honored that you would vote for us (blushes). I promise to be nicer to you next time we share a speaker panel. Nerd Fitness.. what a great blog. Opened my eyes to far more then just push-ups in my dorm room. Full-time RV and cruising blogs tend to be day-by-day travel diaries, because we are all on the road all the time, constantly seeing new things. But we are following an itinerary that is linear — headed down a particular route. 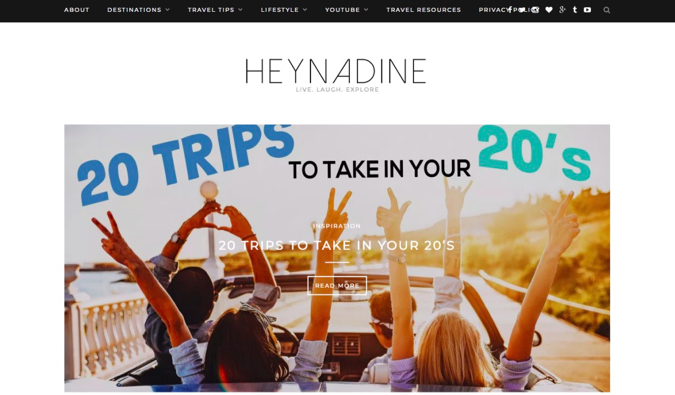 Travel bloggers seem to blog about shorter duration trips that are done from a home base via airplane and hotels — traveling in a star pattern from home — and the emphasis often seems to be on providing travel tips for vacations. Very interesting stuff — but all new to me!! !